After covering all types of sport games on our website, finally there is an offering for the Bowling lovers. 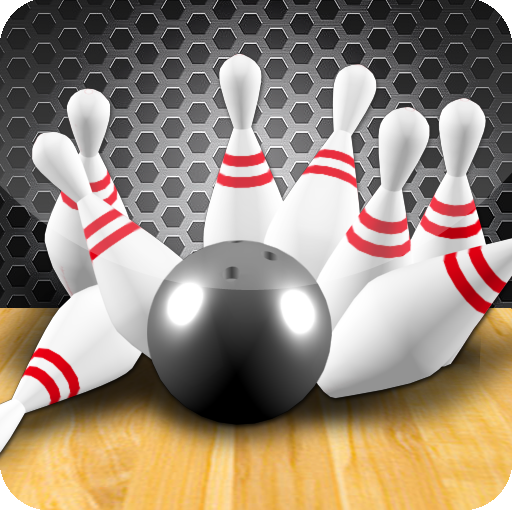 3D Bowling is one-of-the-best bowling titles to have made an appearance on the Android platform. The game offers crisp visuals with intuitive and smooth gameplay acting as the icing on the cake. Created by Italy Games, the developer has various games belonging to different genres under their kitty and certainly will not disappoint gamers with today’s offering. The game is very realistic and comes as close to being a Freemium app. The game might blow away few gamers for the visually appealing high-end graphics that it cooks-up and offers. The main contributing factor to this awesome structure would be the advanced 3D physics engine and effects that have been very well integrated, providing a gameplay like never before. On firing up 3D Bowling, the game is as simple as 1-2-3 and without beating around the bush the player can start off an exhibition match. The game offers users a choice of 5 scene choices and every scene has its own choice of different bowling balls in various designs. Moreover, every scene within the game has a customized music to its credit which lends a new feel and look to the game every-time. Developers have done a marvelous job as far as gameplay is concenred. They have manged to make it less cumbersome when compared to other similar treats. Here, players will need to position the bowling ball either left, right or center and then with a flick of a finger score a strike. The game really should be awarded for the no-nonsense approach it offers. Overall, the game is a great deal coming for free to users on Android. Offering leader board capabilities and a pass-on system multiplayer mode, 3D Bowling surely is one-of-the-best Bowling games in the Android scene at the present moment.